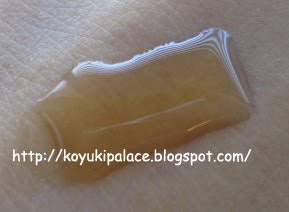 The Sulwhaosoo First Care Activating Serum is one of the main products in the brand. This is the 3rd step of the Sulwhasoo program. Usually you apply toner then serum, but the First Care Activating Serum is used BEFORE a toner. I didn't buy the First Care Activating Serum, I was using a few samples but already fell in love with the product!! I bought some on the internet, 4mL x 12 for ~$23 USD. It absorbs right after I applied it onto my skin. I smell ginger, but it wasn't strong. The herbal scent is quite calming and relaxing. I wonder if it contains any lavender or similar kinds of relaxing herbs...?? After cleansing, put ~1 pump onto the palm of your hands, warm it up then gently massage onto your skin and wrap your face with your 2 hands. The heat from your hands help to increase absorption. Any remaining serum just gently pat onto your skin. Having used this product, I would love to have a chance to experience doing a Sulwhasoo facial !! I can imagine how relaxing it would be!! I noticed my skin tone became more balanced, moisturized, radiant and pores are finer. I will definitely continue to use this product! !